Please note that the content of this book primarily consists of articles available from Wikipedia or other free sources online. 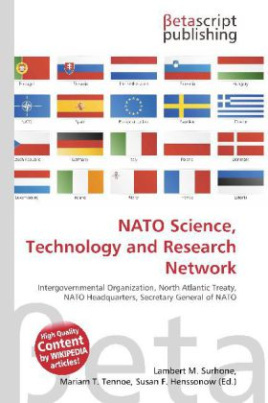 The NATO Science, Technology and Research Network (STARNET) was developed to deal with the vast and rapidly growing amount of data relevant and vital to the success of the research and development process and the overall advancement and enhancement of technology innovation and development. The STARNET facilitates access to worldwide Web resources and information elements in terms of science, technology and overall research. STARNET provides a virtual library; a "one stop" source for policy makers, program managers, scientists, engineers, researchers and others for relevant information resources. The vast and rapidly growing amount of scientific and technical data and information concerning the diffusion of technology and innovation has increased pressure on organizations to push forward with their own technological developments and to take steps to maximize their inclusion into the research and development (R&D) process.